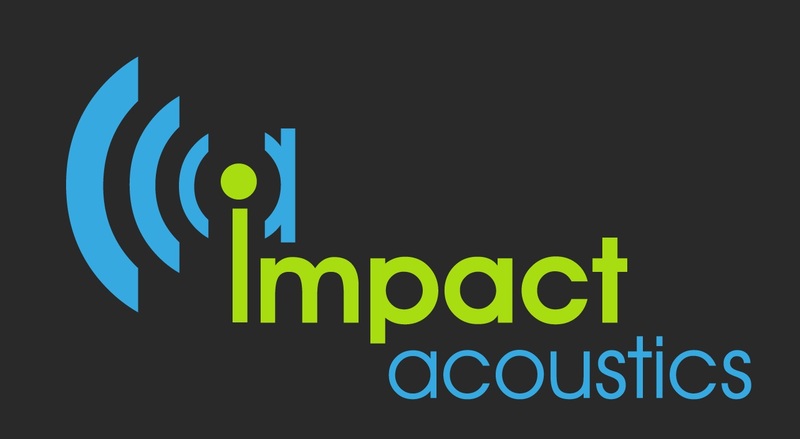 1.1 'The Company' shall mean Impact Acoustics Ltd and where the context permits its employees, agents or subcontractors. 1.2 'The Company' shall mean any person or persons, firm or corporate body that instructs, or is co-sponsor with, The Company to carry out test investigations, research or similar work. 1.3 'Agree' shall mean agreed between the Client and The Company. 1.4 'Equipment' shall mean plant, machinery or other devices of any kind in respect of which The Company undertakes to carry out tests, make investigations or issue reports, certificates, information or advice. 2.1.1 These Terms and Conditions shall apply to the provision of Services by the Company to the Client. 2.1.2 In the event of conflict between these Terms and Conditions and any other terms and conditions (of the Client or otherwise), the former shall prevail unless expressly otherwise agreed by the Company in writing. 2.2 These conditions shall apply to all work undertaken by The Company for the Client and no additions or variations to these conditions shall apply unless agreed in writing. 2.3 If the Client is an agent acting on behalf of a principal, the obligations of the Client s set out herein may be transferred to the principal provided that The Company has agreed in writing to this arrangement before being given instructions to proceed with the work. 2.4 The Company reserves the right to decline to accept an order for work without being required to give a reason. 2.5 Any contract may be terminated by either party before completion by giving one month's notice in writing. The Client will be responsible for any charges incurred or committed up to the date of termination on the quantum merit basis. 3.1 Charges for work shall be in accordance with a quotation submitted to the Client by The Company. In the event of The company agreeing to carry out any work without the Client's written acceptance of a quotation, then The company shall be entitled to reasonable remuneration for the work performed by it. 3.2 Quotations shall be open for acceptance within 30 days unless agreed otherwise in writing. 3.3 Unless agreed in writing to the contrary, all prices or rates in quotations submitted by The Company are on a fluctuating price basis and are subject to any variation that Is consequent upon changes in staff salary scales or in the prices of materials, travelling or other costs. 4.1 Testing will normally be carried out in accordance with the standards for the time being laid down by the British Standards Institution or other recognised authority. In the event of such standards not being applicable testing will be carried out according to a specification to be agreed before the commencement of the testing. 4.1.1 By arrangement tests may be witnessed by the Client or his representative, but The Company shall be entitled to charge for any additional costs thereby incurred. 5.1No report or abridgement or abstract of a report shall be used in any company prospectus, advertisement or other publication or reproduced o without the prior written consent of The Company. No certificate issued by The Company shall be published except in full without the prior written permission of The Company. 5.2 The Company reserve the copyright in any report or certificate issued by it and no such report or certificate shall be used in any legal or arbitration proceedings without the consent of The Company, except to the extent that may be required by law. 5.3 The source code version of any software program created and developed by The Company either alone or in conjunction with the Client shall be and remain the exclusive property of The Company and notwithstanding the release of the source code to the Client, which shall be at the absolute discretion of and upon terms determined by The Company all confidential information and intellectual property rights in the source code shall remain vested in The Company. 5.4 The Client shall procure that its employees, agents, contractors and sub-contractors shall take all such steps as shall from time to time be necessary to protect the confidential information and intellectual property rights of The Company in the source code. 5.5 All software programs and program documentation designed and written by The Company either alone or in collaboration with the Client shall be and remain the absolute property of the Company, and all confidential information of The Company and all copyright, trademarks and other intellectual property rights in the software programs and / or software documentation are the exclusive property of The Company. 6.1 The Company shall treat all information obtained from the Client and from tests, investigations and consultancy carried out for the Client as confidential. No such information shall be disclosed to a third party without the consent of the Client. 7.1 The Company shall exercise all reasonable skill, care and diligence in the discharge of the duties performed and in producing any report, certificate, information or advice. However, The Company shall not be liable for any loss or damage, whether direct or indirect, arising from the use of reports, certificates, information or advice issued by it. 7.2 The Company shall not be liable for any damage, loss or expense suffered by the Client by reason of any delay in carrying out any test, investigation or consultancy or in issuing any reports, certificates, information or advice to the Client. 7.3.1 The client shall be responsible for obtaining any necessary permission or permit for The Company employees to have access to all relevant parts of the premises. 7.3.2 The Company shall not bear any liability for any damage, loss or theft to equipment during investigations or consultancy undertaken by The Company for the Client. 7.3.3 The Client shall pay for all costs and charges incurred by The Company in collecting any equipment for testing that is lost, damaged or stolen. The Company will take reasonable care to ensure that the equipment is secured, but shall not be liable for any damage to, theft or loss of such equipment. 7.4.1 Any claim, loss, damage or expense suffered by The Company or its employees or property as a result of any investigating or consultancy which has not been disclosed in writing to the Company prior to commencement of works. 7.5 The Company shall provide £1,000,000 professional indemnity insurance per service. 8.1 Payment shall be made by the Client (or as provided in clause 2.2 by the Client's principal) within 5 days of an invoice being submitted by The Company. 8.2 The Company reserve the right to submit regular progress claims. 8.3 No report shall be submitted to the Client by the company until full funds are cleared unless agreed in writing. 8.4 All charges shall be paid without deduction. In the event of an error or query on the invoice, payments shall be made to The Company of the whole amount claimed less the amount queried or in error. 8.5 The company requires payment to terms. Payment must be made on time, in full, and without any deduction, set off or counterclaim. In the event that an account is outstanding, we will refer the matter to our debt collection agents, Daniels Silverman Limited, which will incur costs of 15% + vat. Any costs incurred to collect the debt will be added to the debt, plus VAT at the prevailing rate. The Client agrees that the Client will be legally liable to pay the company that surcharge, and that payment of the same can be enforced against you in court. The Client also agree to pay interest at the relevant reference rate provided for under the Late Payment of Commercial Debts (Interest) Act 1998, which interest is payable both after and before any judgment of the court and continues to accrue. 9.1 In the event of a dispute or difference arising from these conditions or the interpretation thereof or otherwise arising as a result of work carried out by The Company for the Client under these conditions, such dispute or difference shall be referred to arbitration by a single arbitrator mutually agreed between the parties or, failing such agreement, by an arbitrator nominated by the President of the Institute of Arbitrators. Any such arbitration shall be conducted in accordance with the Arbitration Act 1950 and by application of the law of England. 9.0 In the event of any conflict between any terms of any order raised by the Client and their standard terms of business, it shall be an express term of any such contract that that these terms shall take precedence. For the avoidance of doubt, The Company will not enter into any Agreement without the incorporation of those terms. means the terms of payment of Fees as set out in the Schedule/quotation of works. 3.3 It is the clients responsibility to consult on any structural works that may be required. The supplier takes no responsibility for damages caused to structure from works undertaken. 3.4 Unless otherwise stated in writing in the schedule / quotation of works, the supplier does not guarantee the works to pass any commissioning test carried out post works. 3.5 The Supplier shall use all reasonable endeavours to complete its obligations under these Terms and Conditions, but time will not be of the essence in the performance of these obligations. 5.1 All payments required to be made pursuant to these Terms and Conditions by either Party shall be made in full upon completion of the provided Services, in British Pounds in cleared funds payable into the nominated bank account, in cash or by relevant cheque. A deposit of 50% is required upfront upon confirmation of acceptance of Services and prior to the start date of the afore mentioned Services. 5.2 The time of payment shall be of the essence and is due on reciept of invoice. Unless agreed in writing no credit terms will be made available. 5.3 The Supplier requires payment to terms. Payment must be made on time, in full, and without any deduction, set off or counterclaim. In the event that an account is outstanding, we will refer the matter to our debt collection agents, Daniels Silverman Limited, which will incur costs of 15% + vat. Any costs incurred to collect the debt will be added to the debt, plus VAT at the prevailing rate. The Client agrees that the Client will be legally liable to pay the Supplier that surcharge, and that payment of the same can be enforced against you in court. The Client also agree to pay interest at the relevant reference rate provided for under the Late Payment of Commercial Debts (Interest) Act 1998, which interest is payable both after and before any judgment of the court and continues to accrue. 5.4 Should materials be purchased in advance of works, due to delivery lead times, the Cleint will be responsible to the supplier for payment of these materials, even in the event of contract termination. 6.2 If, due to circumstances beyond the Supplier's control, it has to make any change in the arrangements relating to the provision of the Services it shall notify the Client immediately. The Supplier shall endeavour to keep such changes to a minimum and shall seek to offer the Client arrangements as close to the original as is reasonably possible in the circumstances. The supplier reserves the right to sub-contract the performance of any of its obligations under these Terms and Conditions to any person without the prior consent of the other Party, that Party shall be responsible for every act or omission of the sub-contractor as if it were an act or omission of the supplier itself.